Contact for Registration under Service Tax for Delhi , Noida, Ghaziabad, Faridabad and Gurgaon on economical cost. 2. Copy of PAN of Partnership / Proprietorship firm..
3. Id and Address proof of all partnership including PAN. Registration under Goods and Service Tax (GST) regime will confer following advantages to the business: Legally recognized as a supplier of goods or services.... Legally authorized to collect tax from his purchasers and pass on the credit of the taxes paid on the goods or services supplied to purchasers or recipients. Our organization has gained prominence for offering Service Tax Registration Services in Delhi. The Service Tax Registration Service adheres completely to the concerned rules and regulations. With the help of our legal advisers and consultants, we are able to comprehend to the requirements of our clients. We are leading service provider of Service Tax Registration. Keeping track with latest market trends, we are devotedly engaged in offering a wide assortment of GST Registration Service. With our rich industrial experience, we hold expertise in offering Service Tax Registration Services. The creative team of professionals is rendered these services according to the client’s requirements. Apart from this; we are providing these services at very affordable prices within the stipulated period of time. 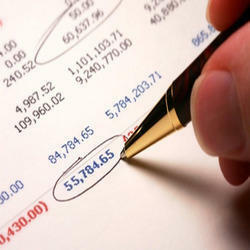 Due to our competency in this realm, we are engaged in providing extremely reliable Service Tax Registration Services. Our consultants render this service to our honored customers within the postulated time frame. Furthermore, in order to undertake the desires of our customers, we precisely understand their needs to achieve ultimate level of contentment. Taj Certification Services Pvt. Ltd.
We are involved in presenting a broad collection of Service Tax Registration Services for our valuable customers. The provided services are highly demanded in the market for its timely completeness and high performance. Apart from this, our customer can avail these services from us in different plans.